Within the framework of Eurostat’s European Statistical Training Programme (ESTP), DevStat in consortium with the Lithuanian Department of Statistics and the National Statistical Institute of Bulgaria held a three-day and two-day courses severally on “Advanced R”and “Introduction to time series analysis with JDemetra+” in Luxembourg on the 27th – 29th November and 04th – 05th December 2017 respectively. The course on Advanced R was taught by Mr Alexander Kowarik (course leader) and Mr Bernhard Meindl, both from Statistics Austria. The course on Introduction to time series analysis with JDemetra+ was taught by Mr Duncan Elliott (course Leader). 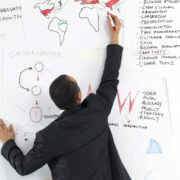 Courses were attended by more than 20 participants that are part of Eurostat’s staff. 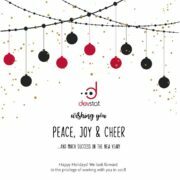 DevStat thanks the trainers and also the participants for their commitment during the course. 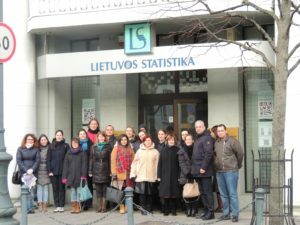 Within the framework of Eurostat’s European Statistical Training Programme (ESTP), DevStat in consortium with the Lithuanian Department of Statistics and the National Statistical Institute of Bulgaria held a three-day course on “Non-response and non-sampling errors in household surveys” in Vilnius between the 4th -6th December 2017. The course on Non-response and non-sampling errors in household surveys was taught by Ms Danutė Krapavickaitė (course leader) and Ms Inga Masiulaitytė-Šukevič. 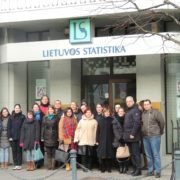 Both trainers are part of the National Statistical Institute of Lithuania, which support was essential for the success of the course. The course was attended by more than seventeen participants from several National Statistical Institutes within the European Statistical System (ESS) and from candidate countries. DevStat thanks the trainers, Statistics Lithuania and also the participants for their commitment during the course. The draft proposals for recommendations on how to enhance the European Statistical System (ESS) Common Quality Framework were presented and discussed during the 5th meeting of the Steering Committe QUAL held on the 29th of November 2017 in Luxembourg. The proposals were formulated by the consortium DevStat – Statistics Norway within the frame of the contract on “Development of Conceptual Elements for a Common Quality Framework in the European Statistical System (ESS)” signed with Eurostat. The proposals are based on an exhaustive and structured inventory of quality management practices in the ESS, built during the initial phase of the project. The consortium was represented at the 5th Steering Committee QUAL by Hans Vigo Saebo and Florabela Carausu.